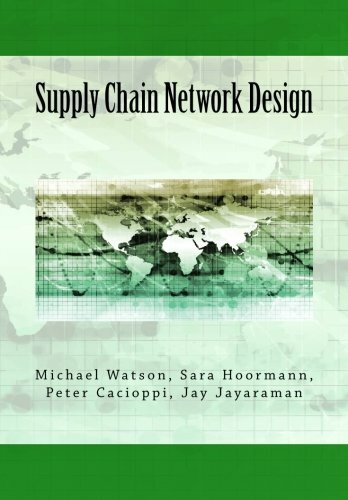 This book is aimed at an important and under-served niche within the supply chain market: strategic supply chain design. Almost all supply chain professionals need to know about this discipline. No current book covers the theory and practice in a way that ensures readers will be successful with this discipline in the field. Strategic network design is about selecting the right number, location, and size of warehouses, plants, and production lines. It is about determining the territories of your facilities, what product should be made where, and how product should flow through the supply chain. It is about developing a good model of your supply chain so you can make good operational decisions. Network design is important because a good design helps a firm execute its strategy. To do it right, it requires analytics and optimization. And, when firms do it right, they can reduce supply chain costs by 5-15% which can translate into tens of millions of dollars of savings for the firm. The book brings together our experience in completing 100s of these projects, our teaching of this material, and our understanding of the science that drives these studies. The book is ideal for supply chain managers, analysts, and consultants who must do these studies, for people who work for a company or organization with a supply chain and want to understand the design and strategy better, and for professors who want to bring a practical and intellectually interesting material to the classroom. Our goal is to help you deeply understand this topic. We covers the topics with realistic case studies, discussions of practical consideration, and a mix of the science. This helps you understand the topic, understand how it applies to you, and build your intuition. We hope you enjoy the book!